United National Congress » Charles: Where is the Strategic Energy Plan for our energy relations with Guyana? 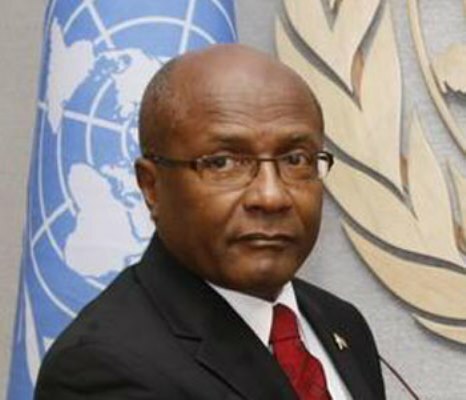 Charles: Where is the Strategic Energy Plan for our energy relations with Guyana? Yesterday, Dr Rowley spoke at the Spotlight on Energy conference, and said not a word about our relations with Guyana – the CARICOM country on schedule to be the energy giant of our regional body. This should have been a point of discussion at the Conference. To date all that has happened, according to information at hand, is a meeting with ExxonMobil to discuss Petrotrin possibly refining Guyana’s oil and another in Georgetown where Guyana’s Minister of Natural Resources Raphael Trotman talked about potential for future energy relations between our two countries. Meetings and “ole talk” are not enough. What is needed is a well thought out strategic plan, with clear financial targets backed up by adequate resources and timelines. At yesterday’s Spotlight on Energy conference, the CEO of Ventrin Petroleum Company, a state owned Oil Company in Suriname, pleaded with our Minister of Energy to make “T&T’s intent to collaborate more concrete”. Clearly we need a more proactive and structured approach from this clueless PNM administration. We should be offering petroleum scholarships at UWI, St Augustine to Guyanese and Surinamese energy personnel to develop necessary contacts and improve their capabilities. We should be training their drillers at our MIC Institute of Technology schools. Minister Fazal Karim trained Nigerians at our drilling schools. While in boardrooms of major energy companies, like ExxonMobil and Hess, strategic plans are in play for Guyana’s energy. And while Petrobras is to the South monitoring developments and looking for opportunities. And while Venezuela keeps a menacing eye on Essequibo. Rowley’s T&T and his useless Ministry of Foreign and CARICOM Affairs seem blissfully ignorant of the range of opportunities literally on our doorsteps. We have had ad hoc arrangements with Guyana that are characteristically hodge podge and with no strategic direction. These plans for Guyana remain relatively unknown to most. Where is the strategic plan and what are its main elements? What are our goals regarding our energy relations with Guyana? Who are our point persons leading the charge? Where is the dedicated team of local experts strategizing to leverage our energy expertise to help both Guyana and T&T? What are the possible areas of engagement that meet both country’s needs? A successful partnership with Guyana can increase revenues for Petrotrin, provide employment for TT’s experienced energy workers who have lost their jobs. Options should be pursued regarding joint ventures in shipping and transport and T&T investments in Guyana’s industrial sectors. Strengthening our ties with Guyana and development of a comprehensive foreign policy on our part can also result in increased agricultural collaboration including investments in that sector. This can help with regional food security, reduce FX outflows as well as provide revenues based on dividends from our investments there. Steve Greenlee, president of ExxonMobil Exploration Co. has forecasted Guyana’s oil output to increase to 500,000 barrels per day in the near future. Our refinery upgrade could be done in such a manner to process some of the high quality crude expected to be produced in Guyana. Why, given what lies on the horizon, do we not have a High Commission in Georgetown? Is the proposed embassy in the United Arab Emirates of more benefit to us at this time? Once again we will wake up one morning and realize that we missed out on golden opportunities which God placed on our doorsteps and which we ignored through PNM’s incompetence, myopia, gross bankruptcy of ideas and characteristic slothfulness. Where is the strategic energy plan for our energy relations with Guyana Dr Rowley?